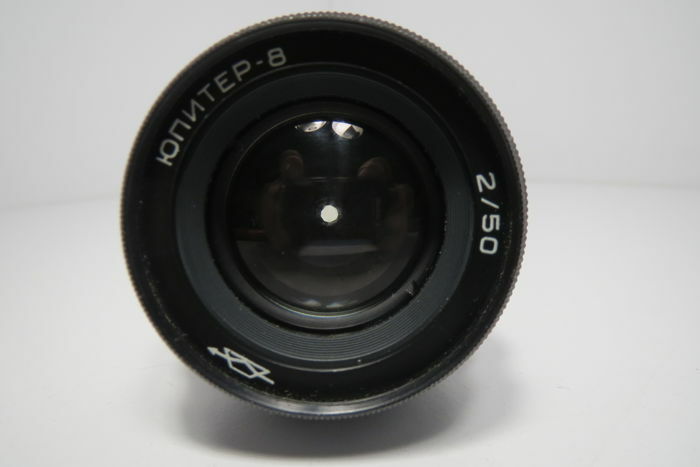 The rarest lens of the USSR "Jupiter-8 Black" M39 2/50 Completely working !! 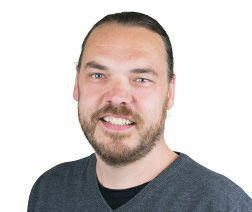 The status is estimated by the photo. Completely working !! 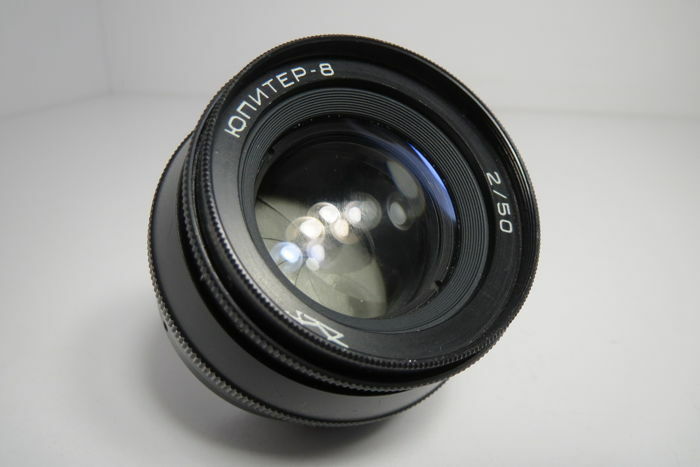 Native lens for the range camera Zorky, Leningrad. 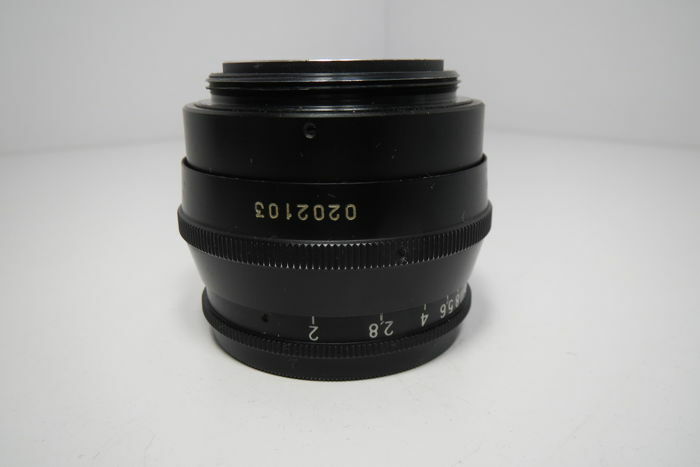 The first version of the lens was named ZK, Zonnar Krasnogorsky - optics1 and the body parts were assembled from the accessories of the Carl Zeiss Sonnar 1: 2 5 cm lens for the Contax camera (bayonet version), transferred to the Soviet Union by the Carl Zeiss Jena plant. 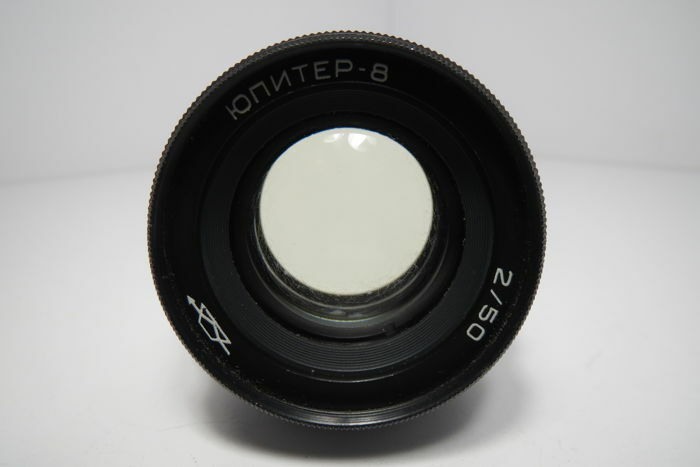 The optical scheme was calculated by Ludwig Bertele in the early 30's, in the USSR the scheme was recounted by MD Maltsev under the domestic glass grade. 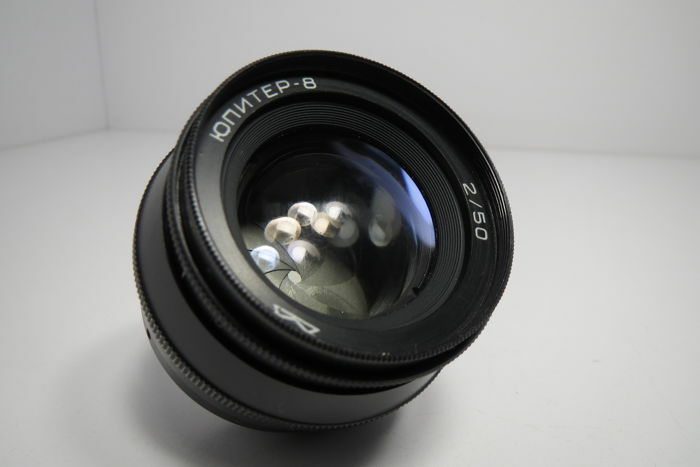 Lenses with threaded fasteners m39 were produced in different bodies, driving, white and black Jupiter-8. 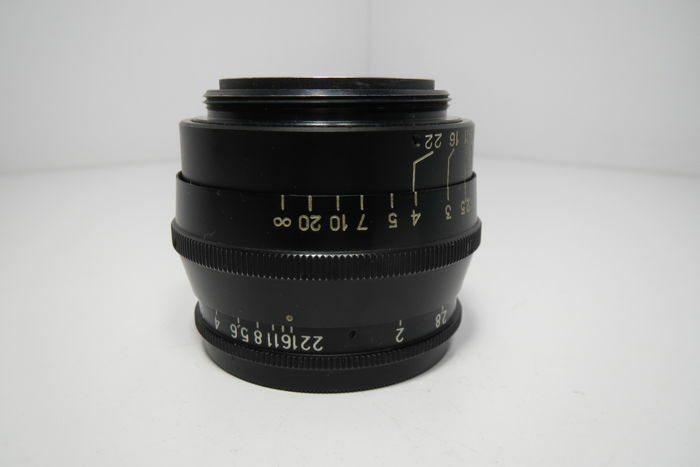 The focal length is 52 mm. The maximum aperture is 2.0. 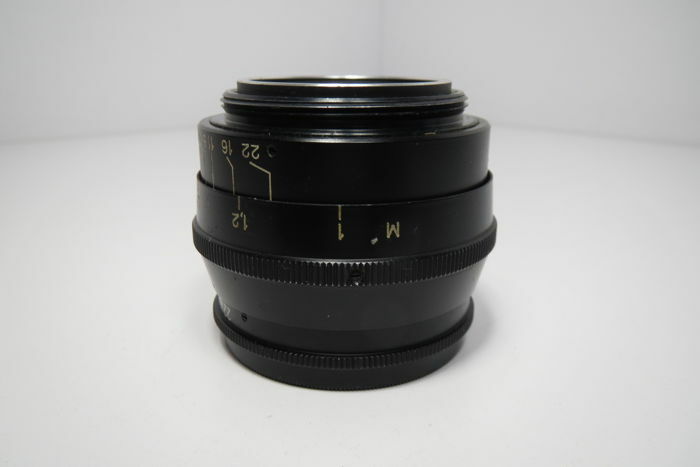 The minimum aperture is 22. The number of petals of the diaphragm is 9. Number of lenses / groups - 6/3. The minimum focusing distance is 1 meter. The center / edge resolution is 30/14 lines / mm. The coefficient of light transmittance is -0.81. Working segment - 28.8 mm. Type of attachment - threaded m39. Attachment for attachments - 40,5 mm. Type enlightenment - chemical single-layer. 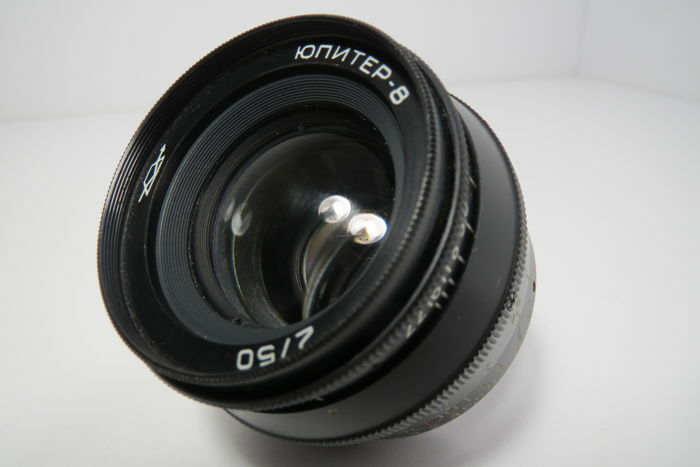 The design of the black Jupiter-8 lens is much simplified in comparison with older "white" lenses. 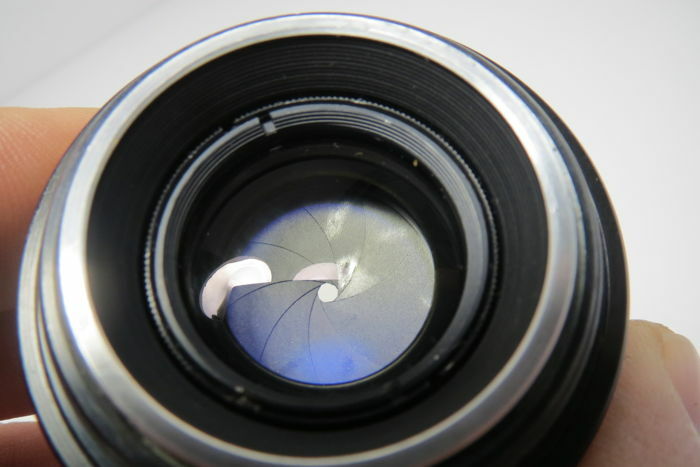 Simplified the rim of the helicoid, because of which the front part of the body and the lens unit rotates during focusing. That is, the use of a number of filters will be limited. 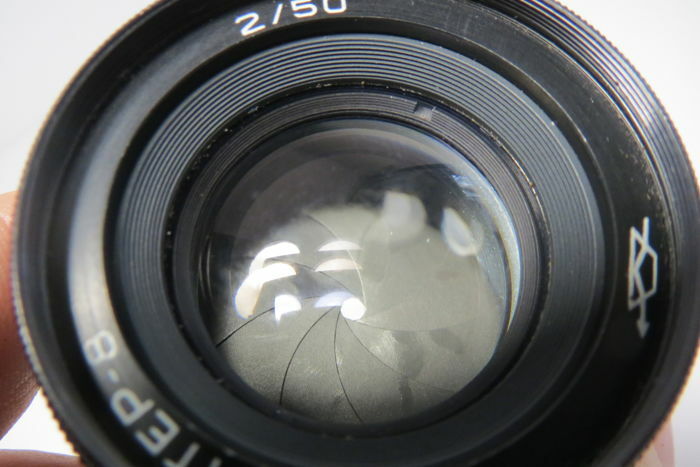 Also, when focusing with the front frame moves the aperture scale, but for convenience, two diaphragm scales were placed on the lens. 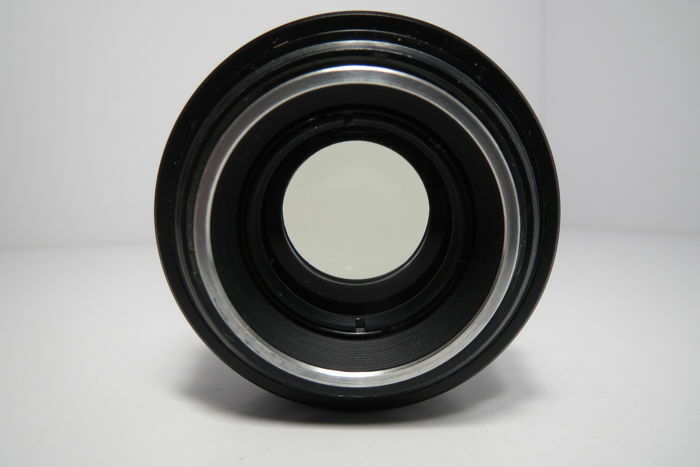 The focus ring is located in the center of the lens, which is more than enough for convenient focusing. The stroke of the helicoid is smooth but not large, only 180 °. 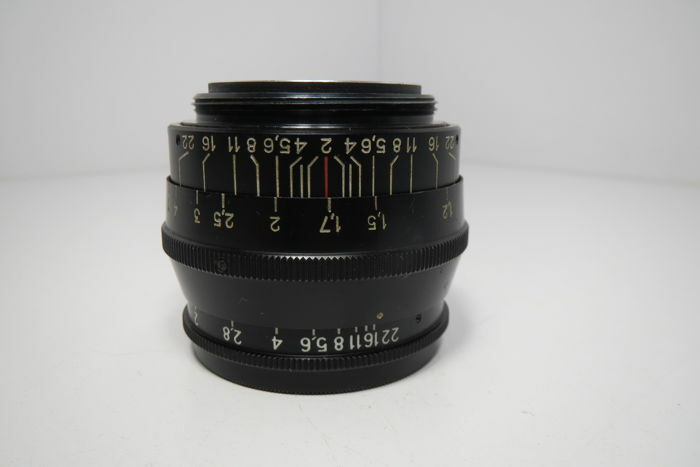 This is due to the pusher of the range finder, for all 50 mm lenses for long-range Soviet cameras (FED-Zorky-Leningrad, etc. 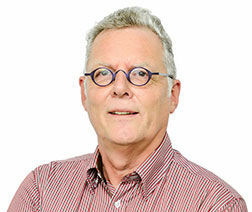 ), the course is 180 ° for a single. The diaphragm is controlled by a ring on the front, with all the problems described above. The very same diaphragm consists of nine black petals. At all values ​​of the aperture, the petals form a circle, although the corners of the slices are still observed. 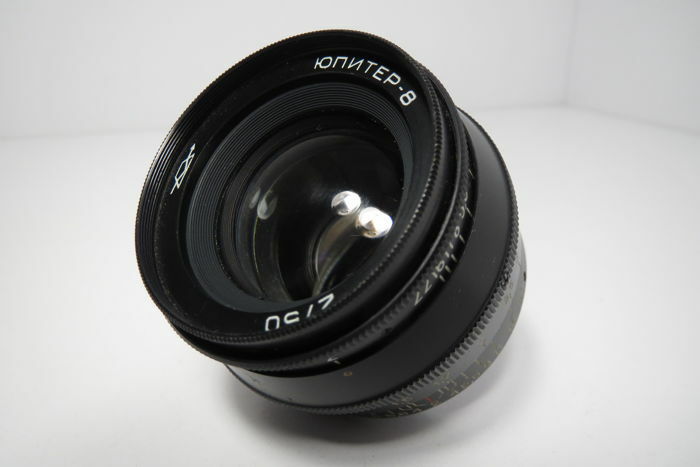 Jupiter-8 has a threaded mount m39 and a working section of 28.8 mm, the latter parameter does not allow the lens to be fully used on SLR cameras (there is no focus on infinity, only macro mode), through the appropriate adapter lens can be installed on any mirrorless camera (except for Pentax K -01). 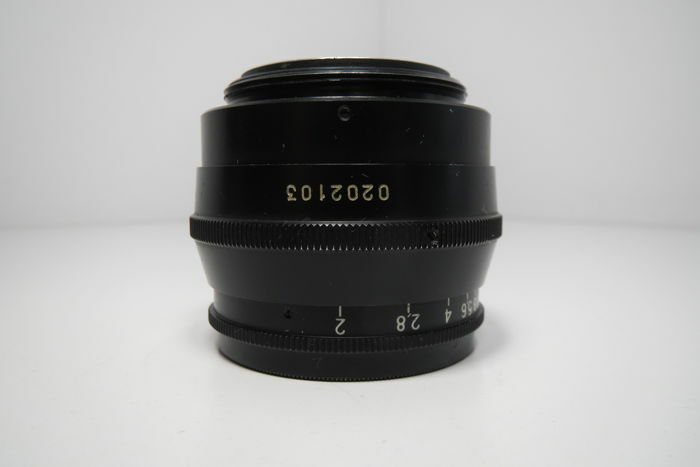 The picture of the Optical Scheme of Sonnar is very, very different from the picture of Planar-like lenses, contrast is much more pronounced and not sharpness (which is often confused). 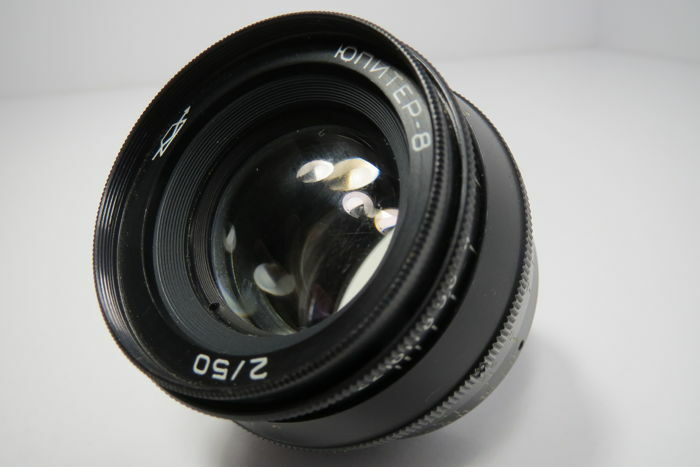 The Spherical (CA) and Chromatic Aberrations (CA) are well fixed in the Jupiter-8 lens, and the curvature of the field is eliminated. 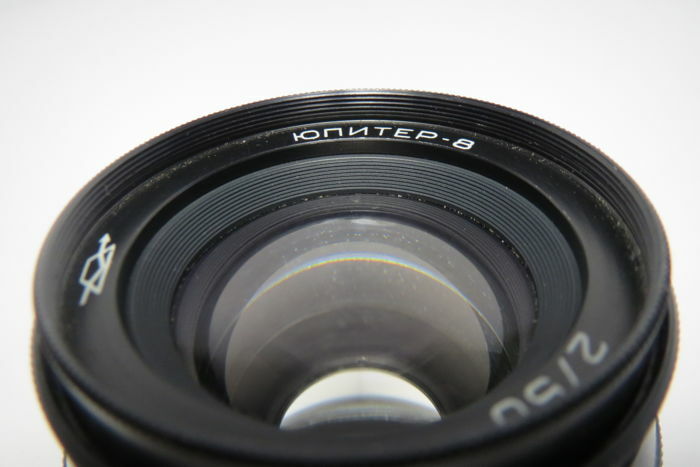 Since the diaphragm 2.8 you can already talk about good sharpness and contrast, Bokeh is more expressive and hard. The color scale is filled with colors, subjective predominance of warm tones. Further closing of the diaphragm results in an increase in the Depth of the Sharply Imaginary Space (GRIP) and the resolution. Oggetto come da descrizione, tempi di spedizione nella norma (considerato il periodo pasquale) e imballo appropriato, tutto OK! Venditore super consigliato.